Amanda’s Little Bakery turns 4!! Hello lovelies and HAPPY BIRTHDAY AMANDA’S LITTLE BAKERY!!! Wow, it’s really been 4 years already. To think that 4 years ago I decided to create a baking blog at 13. I had no clue how far I would go, and am extremely blessed to have the experiences I have and be able to continue to do what I love and to pursue it as a career. Even through all the technical issues and posting problems I have always kept this blog in my heart and can say that creating this was one of the best decisions I’ve ever made. Four years ago, I created a blog names “Sweet Moments,” and after a few weeks, had a change of heart and renamed it to “Amanda’s Little Bakery.” I was only beginning 8th grade and decided to do this as a hobby of mine. I did not know how to bake anything other than box cakes and pre-made cookie dough so the thought of making something from scratch was completely crazy to me. 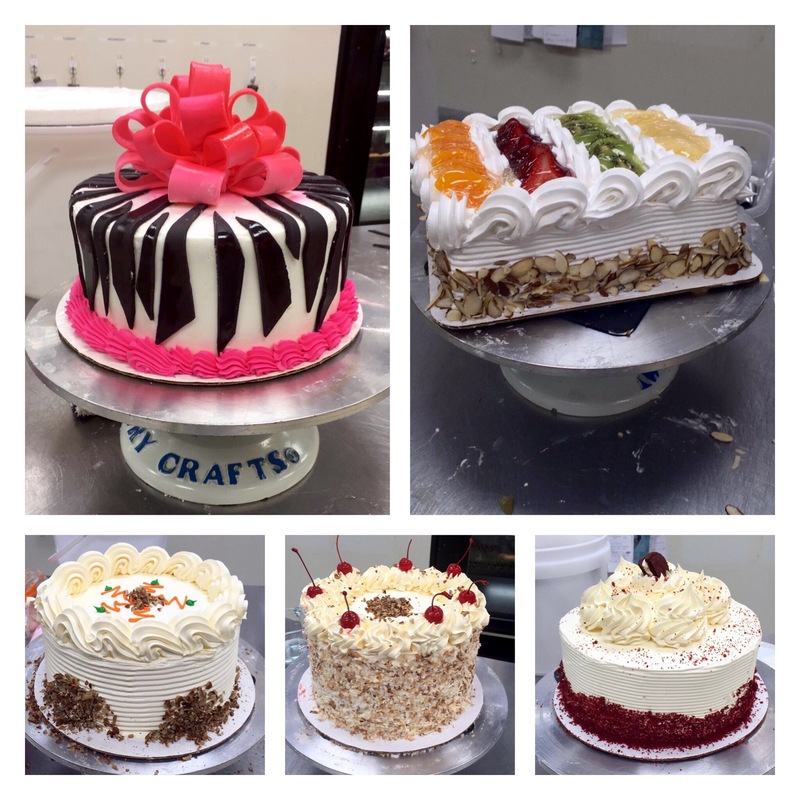 As the years passed, different formats were made and different color schemes were added to my website and through my own self growth and maturity one thing stayed the same; my love for baking. It was not always easy, some days I would completely mess up a recipe and would want to give up, but learned so much more through those mistakes that it was almost unimaginable. If you are new here, then know that the picture above was my first cake made from scratch and the first time I had ever decorated a cake (aside from helping my mom make box cakes and then licking the spoon of frosting). I was so immensely proud of this cake, and to me, it was the most beautiful thing I had ever seen. Now looking back at it, this cake is a hot mess lol! How it slants, the odd amount of sprinkles and thin layer of practically glaze holding it all together. While I have made much better cakes physically, this will always be the most beautiful cake I have created because it is the direct symbol for the day I decided that I wanted to be a Pastry Chef. No matter how far I go, what job I get and how hard of a day I’ve had, this cake makes a smile in my face and a nice warmth in my heart to remind me of where I started and how far I’ve gone since then. I love what I do and will always love what I do because nothing else in the world makes me feel the way that baking does. I got a job at a well-known grocery store as a bakery clerk. After two months of being there. I’ve already received a pay raise. The next day after I found out, I was asked to decorate a few cakes to put in our display case. While I was happy and excited to have gotten a raise, the thrill and excitement that hit me when I was asked to decorate those cakes is beyond words. I know that as long as I continue to do this, I will be happy, no matter where I go. I can’t thank you lovelies enough for these amazing 4 years, and can’t wait to spend more with you, I love you all! Next Post Amanda’s Little Bakery is employed! !